Visa says its service is “close to normal” again following a system failure which left customers across Europe unable to make some purchases. The company apologised and said it had no reason to believe the hardware failure was down to “any unauthorised access or malicious event”. Its statement came five hours after it had initially acknowledged the problem. Shoppers had reported being stuck in queues as Visa transactions were unable to be processed. Payment processing through Visa’s systems accounts for £1 in £3 of all UK spending, the company said. Jay Curtis, from Swansea, had two cards declined in B&Q when he tried to pay for £240 worth of goods. Labour MP Angela Rayner seems to be among those affected, tweeting that she had to leave her local petrol station without paying. 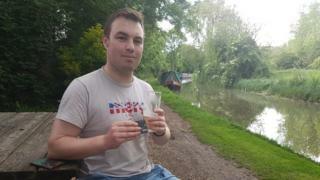 Adam, from Manchester, is a on a canal boat holiday with his girlfriend, Rach, and he was unable to use his card. The 26-year-old said: “We have spent all day boating to moor up at a riverside pub in Kidlington for a birthday meal only to find the visa payments are not working. Having only £20 between us we have had to opt for a birthday drink instead. In Berlin’s Alexanderplatz, customers at Primark complained of having to queue for 20 minutes to pay and staff there could not explain the reasons why transactions were failing. 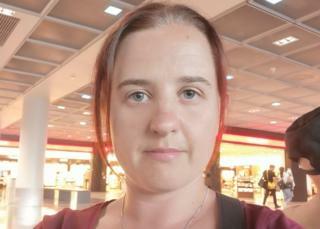 Deborah Elder, from Glasgow, was unable to pay her restaurant bill while she was waiting at Frankfurt airport to fly back to Toulouse. She said: “I was so embarrassed. I gave the waiter the 14 euros I had left. Supermarket Tesco said chip and pin payments were not affected, but contactless payments were. Sainsbury’s also said it had experienced problems. Consumer advocacy group Which? advised people to keep evidence of extra expenses incurred in order to claim them back in the future. “Visa and the banks need to ensure no-one is left out of pocket due to this outage,” said Alex Neill, Which? managing director of home products and services. A Visa spokesman said the system failure had “impacted customers across Europe” and the company apologised for falling “well short” of its reliability goal.